9781501216022 | Unabridged edition (Candlewick Pr, February 10, 2015), cover price $49.97 | About this edition: When forced to choose between staying with her guardian and being with her big brother, Ari chose her big brother. 9780373806843, titled "Devil to Pay" | Harlequin Books, August 1, 1999, cover price $4.50 | also contains Devil to Pay | About this edition: This collector's edition of an out-of-print romance is by one of the genre's most popular authors--Jayne Ann Krentz, writing as Stephanie James. 9781501216169 | Mp3 una edition (Candlewick Pr, February 10, 2015), cover price $16.99 | About this edition: When forced to choose between staying with her guardian and being with her big brother, Ari chose her big brother. 9781501215889 | Unabridged edition (Candlewick Pr, February 10, 2015), cover price $24.99 | About this edition: When forced to choose between staying with her guardian and being with her big brother, Ari chose her big brother. 9780763663230 | Candlewick Pr, February 10, 2015, cover price $16.99 | About this edition: When forced to choose between staying with her guardian and being with her big brother, Ari chose her big brother. 9780763663339 | Reprint edition (Candlewick Pr, April 9, 2013), cover price $6.99 | About this edition: Jack’s mom is gone, leaving him all alone on a campsite in Maine. 9781455803354 | Unabridged edition (Candlewick Pr, March 8, 2011), cover price $22.99 | About this edition: When eleven-year-old Jack Martel crawls out of his pup tent on the first morning of his camping trip with his mom in Acadia National Park, he notices right away that something isn’t right. 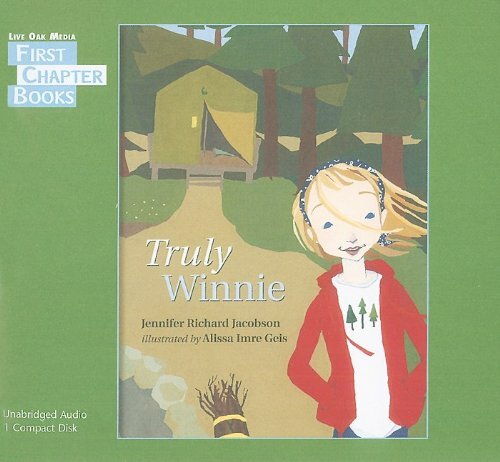 9781455803378 | Mp3 una edition (Candlewick Pr, March 8, 2011), cover price $19.99 | About this edition: When eleven-year-old Jack Martel crawls out of his pup tent on the first morning of his camping trip with his mom in Acadia National Park, he notices right away that something isn’t right. 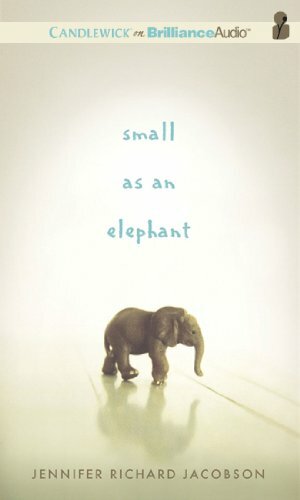 9780763641559 | Candlewick Pr, March 8, 2011, cover price $15.99 | About this edition: Jack’s mom is gone, leaving him all alone on a campsite in Maine. 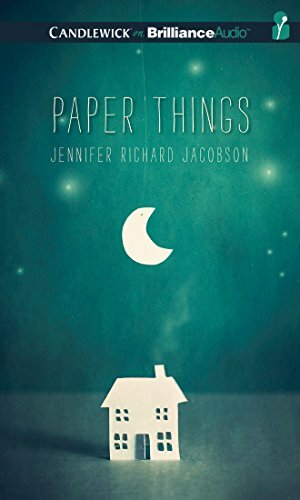 In Weaver Falls, New Hampshire, in 1975, seventeen-year-old Jocelyn looks for answers when her lifelong neighbor and friend, Gabe, mysteriously disappears and she learns that, while her boyfriend, Benny, has been telling everything to a priest, Gabe has been keeping terrible secrets.In Weaver Falls, New Hampshire, in 1975, seventeen-year-old Jocelyn looks for answers when her lifelong neighbor and friend, Gabe, mysteriously disappears and she learns that, while her boyfriend, Benny, has been telling everything to a priest, Gabe has been keeping terrible secrets. 9780786282838 | Large print edition (Thorndike Pr, March 22, 2006), cover price $21.95 | About this edition: In Weaver Falls, New Hampshire, in 1975, seventeen-year-old Jocelyn looks for answers when her lifelong neighbor and friend, Gabe, mysteriously disappears and she learns that, while her boyfriend, Benny, has been telling everything to a priest, Gabe has been keeping terrible secrets. 9780689867453 | Atheneum, March 1, 2005, cover price $16.95 | About this edition: In Weaver Falls, New Hampshire, in 1975, seventeen-year-old Jocelyn looks for answers when her lifelong neighbor and friend, Gabe, turns up missing and she learns that, while her boyfriend has been telling everything to a priest, Gabe has been keeping terrible secrets. 9781416913375 | Reprint edition (Simon Pulse, August 29, 2006), cover price $6.99 | About this edition: During the 'seventies in New Hampshire, seventeen-year-old Jocelyn looks for answers when her neighbor, Gabe, goes missing and she learns that, while her boyfriend has been telling everything to a priest, Gabe has been keeping terrible secrets. 9781417767571 | Turtleback Books, August 1, 2006, cover price $17.25 | About this edition: During the 'seventies in New Hampshire, seventeen-year-old Jocelyn looks for answers when her neighbor, Gabe, goes missing and she learns that, while her boyfriend has been telling everything to a priest, Gabe has been keeping terrible secrets. 9781430110071 | Pck pap/co edition (Live Oak Media, April 30, 2012), cover price $19.95 | About this edition: In this most recent book in the popular series, Andy Shane hopes to win for best-decorated bike in the hometown parade. 9780606216968 | Reprint edition (Turtleback Books, October 25, 2011), cover price $14.75 | About this edition: FOR USE IN SCHOOLS AND LIBRARIES ONLY. 9781455803361 | Unabridged edition (Candlewick Pr, March 8, 2011), cover price $49.97 | About this edition: When eleven-year-old Jack Martel crawls out of his pup tent on the first morning of his camping trip with his mom in Acadia National Park, he notices right away that something isnât right. 9781455803385 | Mp3 una edition (Candlewick Pr, March 8, 2011), cover price $39.97 | About this edition: When eleven-year-old Jack Martel crawls out of his pup tent on the first morning of his camping trip with his mom in Acadia National Park, he notices right away that something isnât right. 9781430103233 | Pap/com edition (Live Oak Media, January 9, 2009), cover price $19.95 | About this edition: With insight and humor, Jennifer Richard Jacobson explores a common childhood anxiety and finds a quiet opportunity to boost self-esteem, aided by Abby Carter's delightfully expressive illustrations. 9780618280087 | Houghton Mifflin, September 22, 2003, cover price $15.00 | About this edition: Winnie Fletcher has a lot of fun at summer camp, but in the midst of the excitement, she discovers how complicated life can get when one little fib tumbles rapidly into an all-out lie. 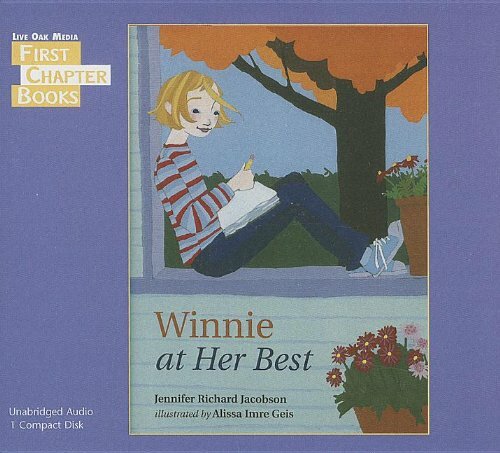 9780618689545 | Reprint edition (Houghton Mifflin, June 19, 2006), cover price $5.95 | About this edition: Winnie Fletcher has a lot of fun at summer camp, but in the midst of the excitement, she discovers how complicated life can get when one little fib tumbles rapidly into an all-out lie. 9781430107569 | Live Oak Media, April 30, 2008, cover price $15.95 | About this edition: Itâs oV to camp for Winnie: sunny days of rock climbing, cascading down slippery falls, Xoating in a cool lakeÂand meeting a fascinating new friend. 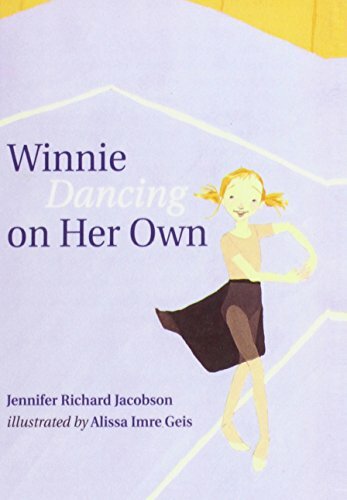 9781430107538, titled "Winnie, Dancing on Her Own" | Pap/com edition (Live Oak Media, April 30, 2008), cover price $20.95 | also contains Winnie Dancing On Her Own | About this edition: FOR USE IN SCHOOLS AND LIBRARIES ONLY. 9781430107521 | Live Oak Media, April 30, 2008, cover price $15.95 | also contains Winnie Dancing On Her Own | About this edition: For the first time since they were five, the girls didnât know how to be with one another. 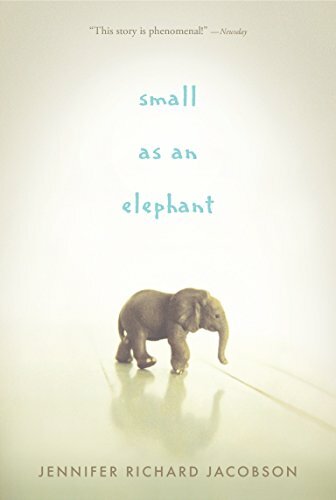 9780606291446 | Demco Media, September 1, 2003, cover price $14.49 | About this edition: Winnie is worried when her best friends Zoe and Vanessa enroll her in ballet classes with them, since she would rather go to the library and read like they always do. 9781439510513 | Reprint edition (Paw Prints, July 10, 2008), cover price $14.95 | also contains Winnie Dancing On Her Own | About this edition: For the first time since they were five, the girls didnât know how to be with one another. Andy Shane, with help from Grandma Webb and some marbles, tricks the people who keep stealing his friend Dolores Starbuckle's Halloween pumpkin. When pranksters ruin Dolores Starbuckle's perfectly good pumpkins, Andy Shane puts his trickiest plan to the test in this humorous, uplifting tale filled with Halloween fun. Andy Shane does not want to go to Dolores Starbuckle's birthday party. It's on the same day as Halloween! Plus, Dolores is always ordering Andy around, making Andy lists on a clipboard, or squealing over Andy's marble collection. But when Dolores tells him that someone is smashing pumpkins in front of her house, the idea of tricking the tricksters sounds too appealing to resist. Maybe there's even a way to scare off the vandals and give Dolores a really great present, all at the same time!Andy Shane, with help from Grandma Webb and some marbles, tricks the people who keep stealing his friend Dolores Starbuckle's Halloween pumpkin. 9780763626051 | Candlewick Pr, July 11, 2006, cover price $13.99 | About this edition: Andy Shane, with help from Grandma Webb and some marbles, tricks the people who keep stealing his friend Dolores Starbuckle's Halloween pumpkin. 9780763633066 | Reprint edition (Candlewick Pr, July 10, 2007), cover price $4.99 | About this edition: Andy Shane, with help from Grandma Webb and some marbles, tricks the people who keep stealing his friend Dolores Starbuckle's Halloween pumpkin. 9780606065917 | Turtleback Books, August 1, 2007, cover price $14.75 | About this edition: FOR USE IN SCHOOLS AND LIBRARIES ONLY. 9781430108801 | Live Oak Media, November 30, 2010, cover price $15.95 | About this edition: âZoe s the smartest, said Vanessa, âI m the best actress, and you, Winifred Fletcher . 9780618472772 | Houghton Mifflin, August 7, 2006, cover price $15.00 | About this edition: Zoe is the smartest speller and Vanessa is the top actress in the fourth grade, but Winnie doesn't know what she does best until she helps a young neighbor in need. 9781430103240 | Har/com edition (Live Oak Media, January 9, 2009), cover price $28.95 | About this edition: With insight and humor, Jennifer Richard Jacobson explores a common childhood anxiety and finds a quiet opportunity to boost self-esteem, aided by Abby Carter's delightfully expressive illustrations. 9781430103219 | Har/cas edition (Live Oak Media, November 30, 2008), cover price $25.95 | About this edition: With insight and humor, Jennifer Richard Jacobson explores a common childhood anxiety and finds a quiet opportunity to boost self-esteem, aided by Abby Carter's delightfully expressive illustrations. 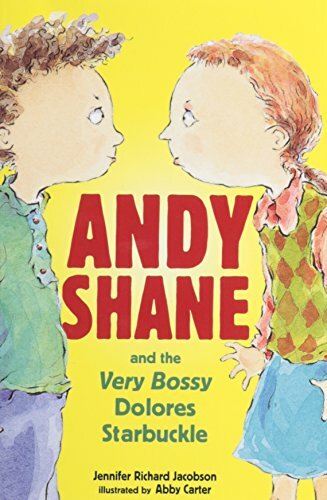 9780763630447 | Reprint edition (Candlewick Pr, July 11, 2006), cover price $4.99 | About this edition: Andy Shane hates school, mainly because of a tattletale know-it-all named Dolores Starbuckle, but Granny Webb, who has taken care of him all his life, joins him in class one day and helps him solve the problem. 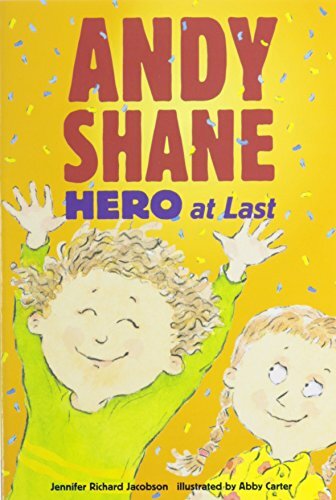 9780763619404 | Candlewick Pr, June 14, 2005, cover price $13.99 | About this edition: Andy Shane hates school, mainly because of a tattletale know-it-all named Dolores Starbuckle, but Granny Webb, who has taken care of him all his life, joins him in class one day and helps him solve the problem. 9780606065931 | Reprint edition (Turtleback Books, August 2, 2006), cover price $14.75 | About this edition: FOR USE IN SCHOOLS AND LIBRARIES ONLY. When his mother is too busy to play with him, Rafferty Fox sets off to find a new mother, but though others are fun sometimes, he decides that he likes his own mother the best. 9780807540725 | Albert Whitman & Co, September 1, 2001, cover price $6.95 | About this edition: When his mother is too busy to play with him, Rafferty Fox sets off to find a new mother, but though others are fun sometimes, he decides that he likes his own mother the best. 9780613757423 | Turtleback Books, September 1, 2001, cover price $17.15 | About this edition: When his mother is too busy to play with him, Rafferty Fox sets off to find a new mother, but though others are fun sometimes, he decides that he likes his own mother the best. 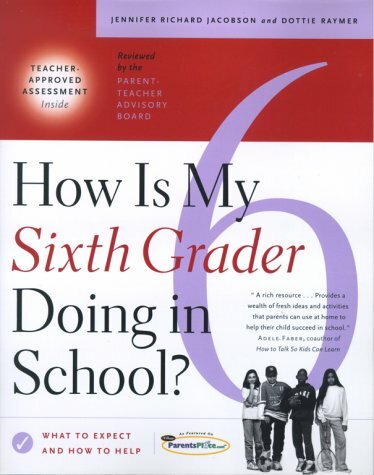 9780684847153 | Fireside, February 1, 2000, cover price $12.00 | About this edition: How can I help my child in math if I don't understand the problems myself?